In the previous post we made some delicious Colombian raspados (snow cones or shaved ice) which was one of the recipes that had been requested several times since last year. The other recipe that gets requested often is how to make the famous Colombian cholados. 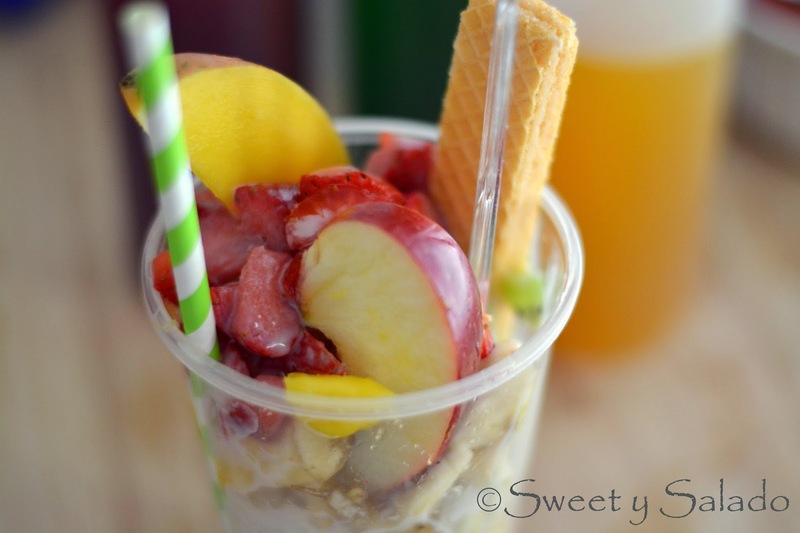 For those of you who don’t know, a cholado is simply a raspado with chopped fruit on top and it’s very popular in Colombia, especially in Valle del Cauca where it was originally created. Without a doubt, you will always find the best cholados in Colombia because of the abundance of tropical fruits you have available that we can’t get in other countries. These can be guanábana (soursop), maracuyá (passion fruit), lulo, papaya, among others. But, this does not mean that we can’t improvise using fruit we can find where we live, in my case I love using bananas, strawberries, kiwis, mangos, pineapple, peaches, blueberries, raspberries and whatever fruit comes to mind. 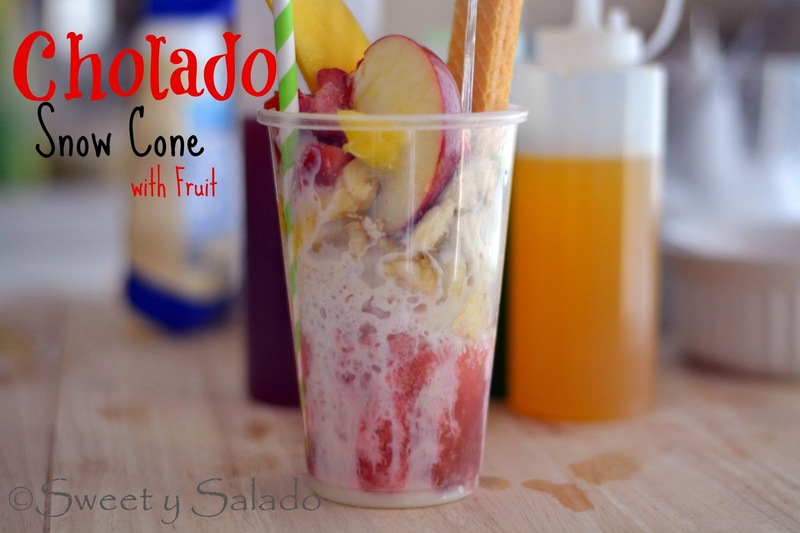 So, try to use your favorite fruit to make these cholados and enjoy! 1. Place the strawberry pieces in a small container and add the sugar. Mix well and let macerate while you cut the rest of the fruit into pieces and crush the ice. 2. Crush the ice cubes in a food processor or blender. 3. Cover the inside of a plastic cup with sweetened condensed milk. 4. Fill each cup with ice to about 3/4 full. 5. Add the snow cone syrups over the ice. 6. Finish filling up each cup with ¼ of the amount of each fruit. 7. Cover the fruit with more sweetened condensed milk. 8. Decorate each cup with the mango and apple slices, vanilla wafers, and add straws and spoons to each one. Serve immediately.